Egmond aan Zee is the first large scale offshore wind farm to be built off the Dutch coast. It is jointly owned by Nuon, a subsidiary of Vattenfall, and Shell, who also serves as an off-taker through a power purchase agreement for the entire production of the wind farm. The wind farm had a total investment cost of over €200m and has been operational since 2006. With a total capacity of 108 MW, its 36 turbines generate enough electricity to power 100,000 households. Significant employment was created during the construction phase, with over 350 full time equivalent technicians, engineers, supervisors and administration staff employed to build the wind farm. Today, Egmond aan Zee employs up to 20 full time equivalent employees, depending on operational activity during the year. Besides job creation, the wind farm has generated significant economic activity, in particular through the use of local sub-contractors for the procurement of goods and services. Local infrastructure has also been upgraded, with investments in roads and ports to facilitate the transportation of wind turbines on land as well as at sea. In addition, a service centre has been opened close to the wind farm, in the region of Ijmuiden. The service centre performs routine checks, maintenance of electrical and mechanical systems, and replacement of components for the wind turbines. 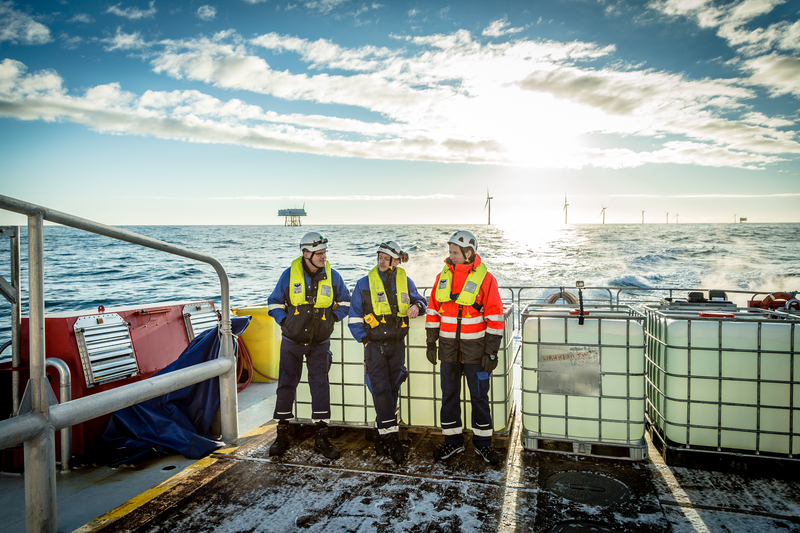 As one of the first offshore wind farms in the country, Egmond aan Zee has contributed to building and improving the local knowledge of offshore wind farms on marine ecology.